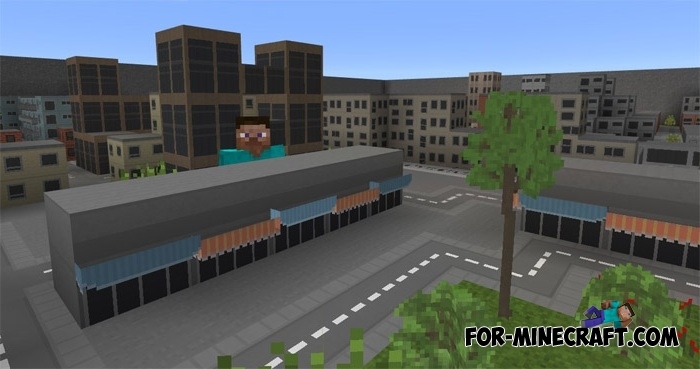 Before downloading this map, you need to install the Mini City Texture Pack that transforms a huge amount of objects into buildings and decorations. In that article, you can find an add-on that changes the size of the mobs, so you become the biggest creature in MCPE. 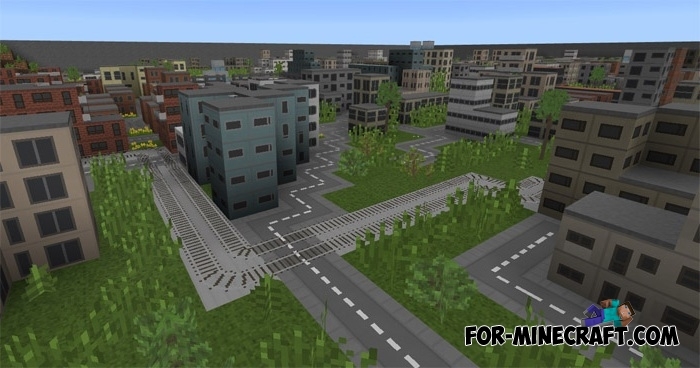 Mini Town is a town bounded by a fence and occupying a small area, but do not think that it is small. The fact is that all buildings have been reduced tens of times and your growth is commensurate with the height of most buildings. In this town you will see houses, shops, roads and street decorations. Each player can complete this one or build your own city.